The Vice President of Career Connector’s Board of Directors, Sandi Ashton, did a great job filling in this week for Jessica Pierce. Sandi mentioned that she was mesmerized by the changes that the career transition process has taken since 2006. Networking has become so important—every conversation you have could be the connection you need for your next position. So talk to everyone! Jim Paisley has provided Career Transition Services, Executive Assessment, Executive Coaching, and Management Training to hundreds of professionals. As a licensed psychologist, with more than 30 years experience as a coach and consultant, he has served a variety of Fortune 500 as well as smaller corporate clients. Jim is a former jet pilot, flight instructor and classroom instructor in the USAF. The entire career/job environment has changed radically. Jim told us that statistics now indicate that by the age of 38, today’s college graduates will experience eight to ten job changes, with three to five career changes within those job changes. This averages out to only two years per position. Considering these changes, excellent interviewing skills are becoming even more valuable. A successful interview is defined as a formal meeting between two individuals where an information exchange takes place. Exchange is the key word here. You’re a solution to a problem the employer has and you need to gather information about your potential employer as much as the interviewer does about you. Jim emphasized that preparation for an interview is needed long before the appointment is made. The interview is a sales pitch selling YOU, so take some time to become more self-aware. Collect all the knowledge you can about the product –YOU. You need to inventory your abilities in leadership, conflict resolution, team building and other notable skills. Formal assessments (like the DISC Behavior Assessment via Career Connectors) can be very helpful in this exercise. Once you’ve got your skills at top of mind, Jim outlined six critical steps that must be completed to prepare for a successful interview. Determine your strategic direction. Where do you want to work and what do you want to do? Prepare a truthful and polished explanation about the reason you left your previous job. Prepare your answer to the “Tell me about yourself” question with a two minute explanation of your accomplishments and what you’re good at. Put together a master list of your accomplishments that relate to responsibilities in the job description of the potential position. Develop at least 6-12, using the problem, action taken and result format. Have an excellent resume and LinkedIn presence. Put together a portfolio, if applicable. Make sure your references are prepared and available. The screening interview – You’ll usually talk with someone from human resources about introductory items that allow the interviewer to determine if you have the minimum qualifications for the job. These usually last no more than 30 minutes. Panel – A small group of employees will interview you at the same time, each asking pre-determined questions. Group – This can include being asked to solve a hypothetical business challenge with a group of people that you don’t know. Video – Skype and other technologies are being used more frequently. It sounds obvious, but make sure you get the details. When and where as well as with whom, along with the interview’s name, title and telephone number. As the saying goes, “There’s no second chance to make a first impression.” Dress at least one-half step above what others in the office will be wearing (call and ask the HR department about usual office dress). Make sure your clothes are pressed, shoes shined, limit your jewelry and do not wear perfume/cologne. Take something to write on in a portfolio or binder, carried in a briefcase, if you feel it’s appropriate. Bring extra copies of your resume and your references. Don’t forget something to write with and if you must bring your cell phone, turn it completely off! Research the company by reading their annual reports. Search for and read articles about the company from the last several years. Use the Book of Lists at the library to research their closest competitors and find other options by working with a reference librarian at your local library. Research the responsibilities of the position you’re interviewing for in order to completely understand the position. And finally, talk with your network to learn firsthand about the company. Oftentimes being without a job makes us uneasy and fearful. Jim noted that even though we are no longer at our previous position, we did not leave our talent, or our knowledge and experience, or our leadership skills, or our contacts. We only gave up the job. Worry disturbs our thinking, behavior and emotional responses. Maintain your social contacts and talk with a friend to release your stress. Speak with optimism, this will influence your thinking. Believe in yourself and work to have a positive attitude, seeing yourself as successful. Tell me about your best (worst) boss, your best (worst) work situation. Tell me about two key accomplishments. Manage your first impressions, and make sure you practice your handshake—no stiff-as-a-board, limp fish, half handshakes or bone-crushers. Start off the interview strongly by making sure to relate your statement to the job description and what you do best. Come prepared with questions of your own. Why is the job open? What is the career path for the position? What are the most pressing challenges for the person filling this position? Why do you like working here? How do you see my skills and experience fitting your needs? Remember, an interview is a conversation. A = What action(s) did you take? R = What was the result or impact? Make your accomplishments relatable to the current job, and use numbers for measurable results whenever possible. Let the interviewer lead and set the tone. Give short, relevant responses, but tell what YOU bring to the job. Listen carefully. Validate your interest in the position, ask your questions and restate your qualifications. And be sure to ask what the next steps in the process will be and when you will hear about the next step. ALWAYS send a thank you note. E-mail is acceptable, but it never hurts to follow up with a thank-you via U.S. mail. Jim closed his presentation with a comment from his book (titled “Career Transition Guide, The 3 Step Solution,” ). His recipe for success is the result of preparation, a positive attitude and a lot of hard work. Liberty Mutual is #76 on the Fortune 100 list, with a great mission to help people be and feel more safe and secure. Field Sales Representatives positions are available. These are sales positons in the personal insurance unit that come with 12 weeks of training, and a FIXED salary with bonus earnings available. The average representative income is $91,000 annually, with many opportunities for increases. Sales positions have a service department to back up your sales and are W-2 positions with a large array of benefits. Opportunities are available across the state, including Mesa, Scottsdale, Chandler, Gilbert Phoenix and Prescott. Contact Justin via email here or 480.532.4211. Revana is a professional inside sales organization that provides business process outsourcing to their clients. This business processing includes sales, marketing and analytics for Google, Craig’s List, Directv, Verizon Wireless and many more. The exact activity depends on what the client company has asked for. Opportunities include inbound and outbound sales associates and sales managers. A Senior Financial Analyst position is also currently available. Revana has locations in Tempe and north Phoenix. To apply, click here, select your preferred location, complete the online app and a recruiter will contact you for a phone screen. Octavio also encouraged interested applicants to visit the office and talk to a recruiter face to face. Darrin told us that a Verizon Wireless retail position is the “best retail position you can have.” Verizon is currently #16 of the Fortune 20, and provides an excellent career path and opportunities for their employees. The environment is fast-paced and fun—available positions include Solutions Specialists in retail sales and Customer Service Specialists in customer care. Benefits include competitive pay, healthcare benefits from day one, tuition assistance up to $8,000 annually, phone discounts and a 401(k) with employer matching. Apply here. Apollo Education Group is much more than University of Phoenix. It also owns and runs Western International University, the College of Financial Planning and the Carnegie Learning institutions. Apollo encourages an environment that embraces innovative ideas and people from diverse backgrounds. Every resume that is submitted is looked at by a human being. 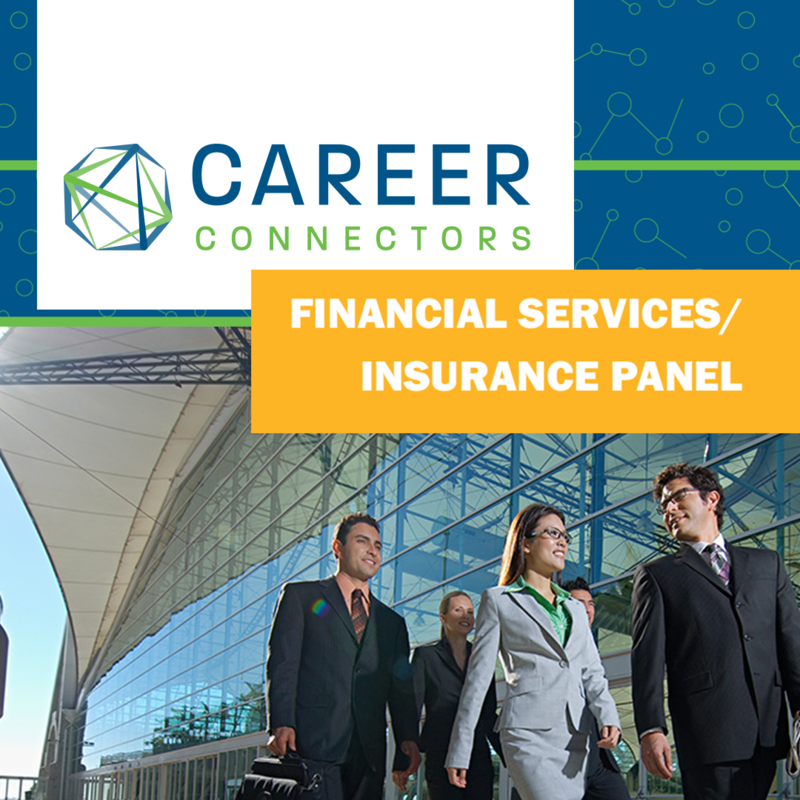 Positions open now include entry level enrollment to paralegals to financial analysts to traveling sales professionals. Opportunities change from day to day so check in often. Apply here.